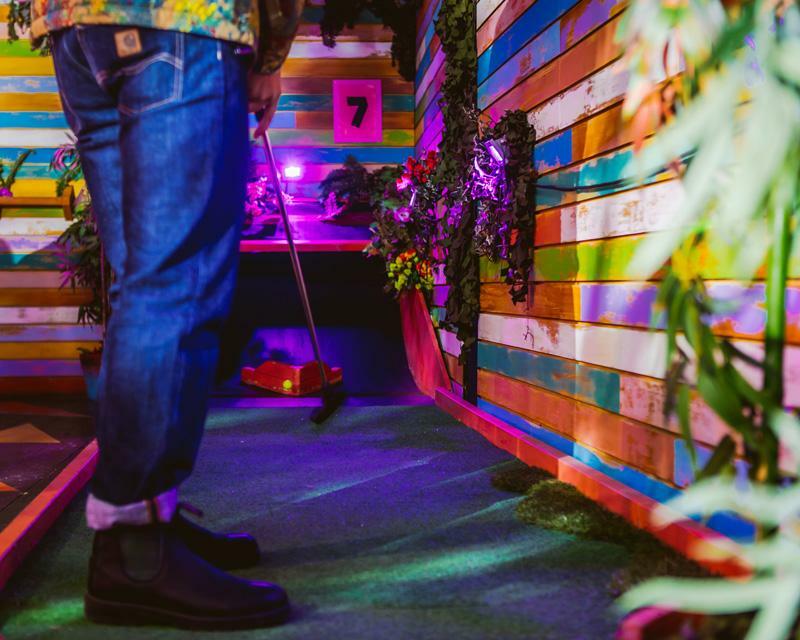 In our very own private venue we've decked the halls with bows of camouflage, mini golf madness, UV lights, smoke machines and a giant volcano for this 9 hole indoor course! 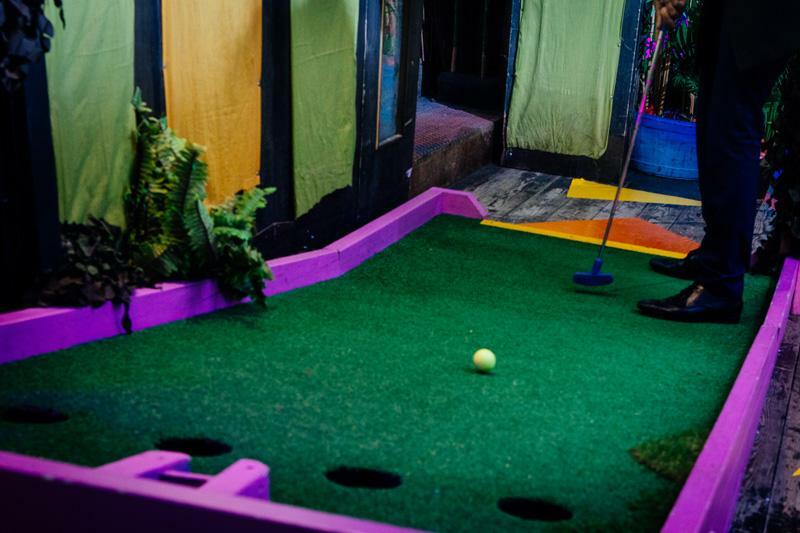 Our unique and quirky course also has a BYOB policy allowing guests to bring their own alcohol to help get them through the course! 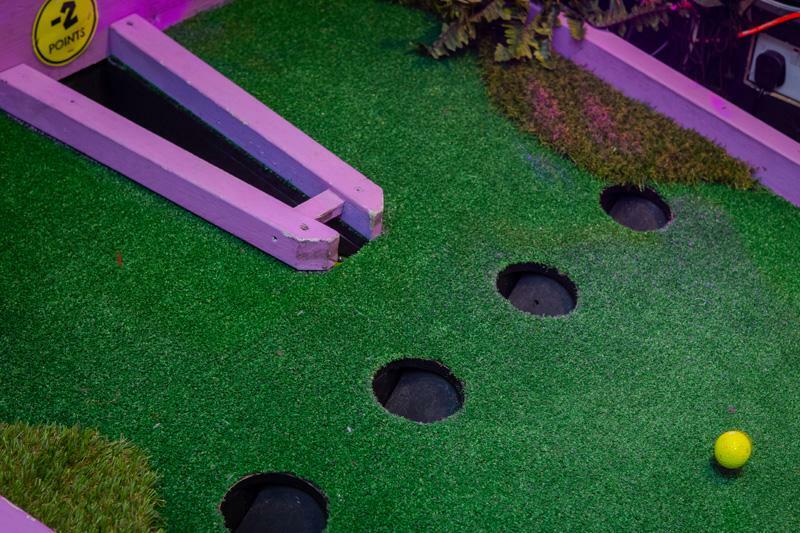 We have a seating/table area for 30 and can provide catering to suit any need! 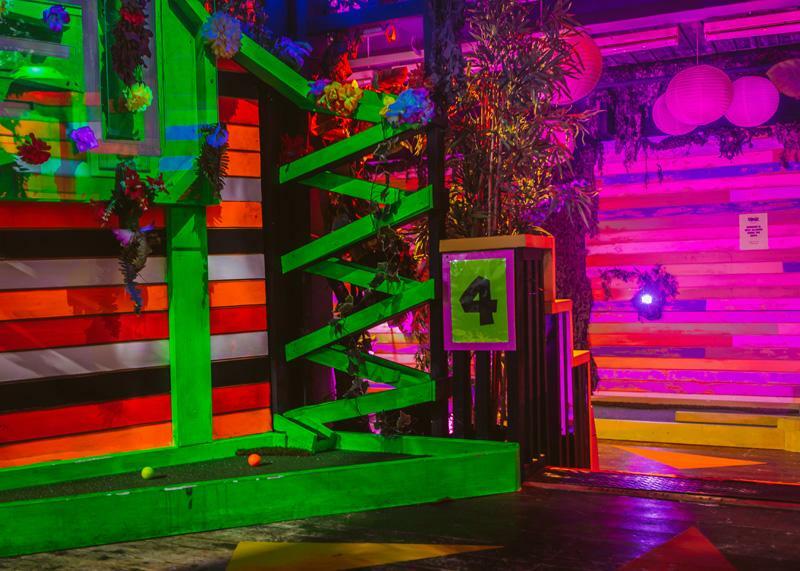 Rally up the troops for a team-building exercise or a corporate social event! 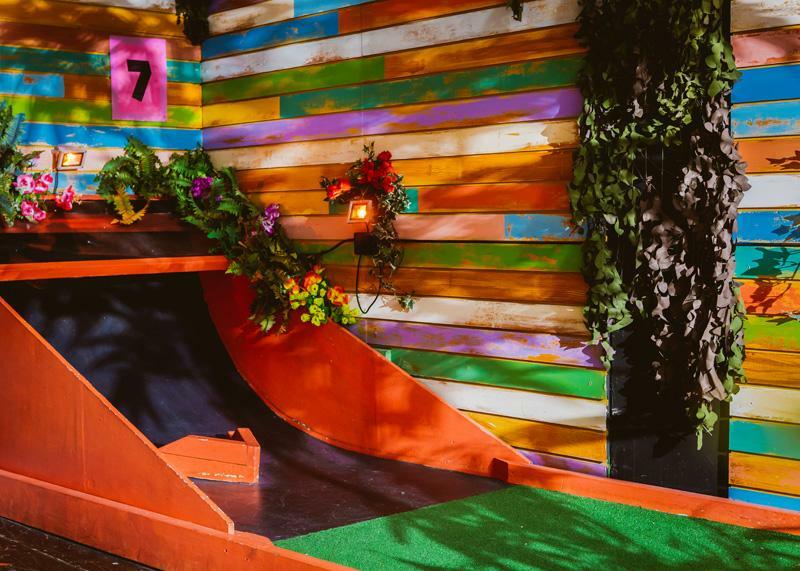 Looking for a birthday celebration, children's party, or, you just want an excuse to hold an event somewhere completely bonkers - we're definitely excited to have you Plonking with us! 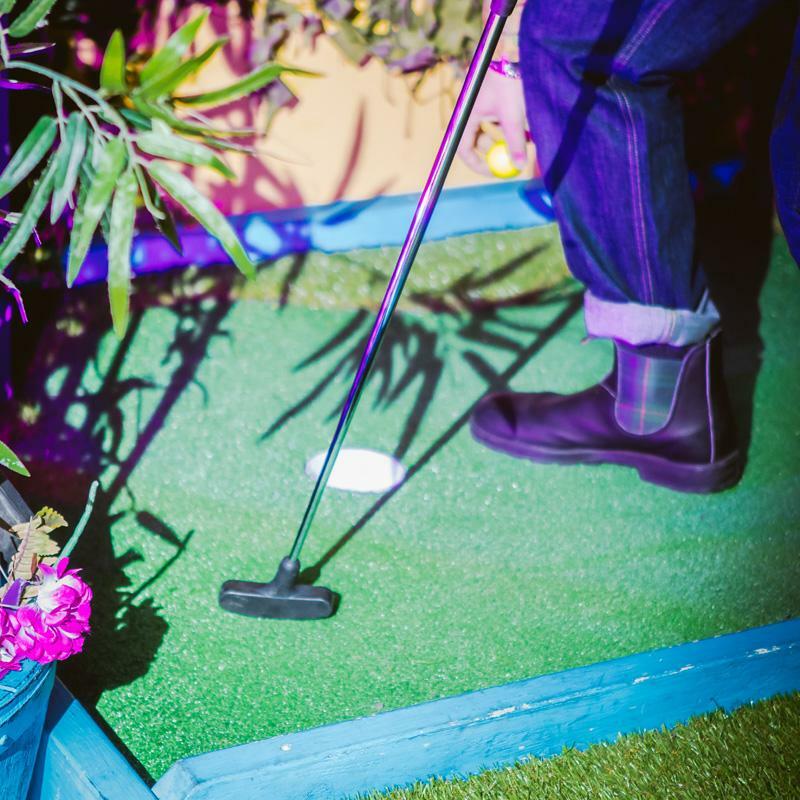 Don't forget that this venue is BYOB - That's bring your own booze - and we'll serve it up for you! 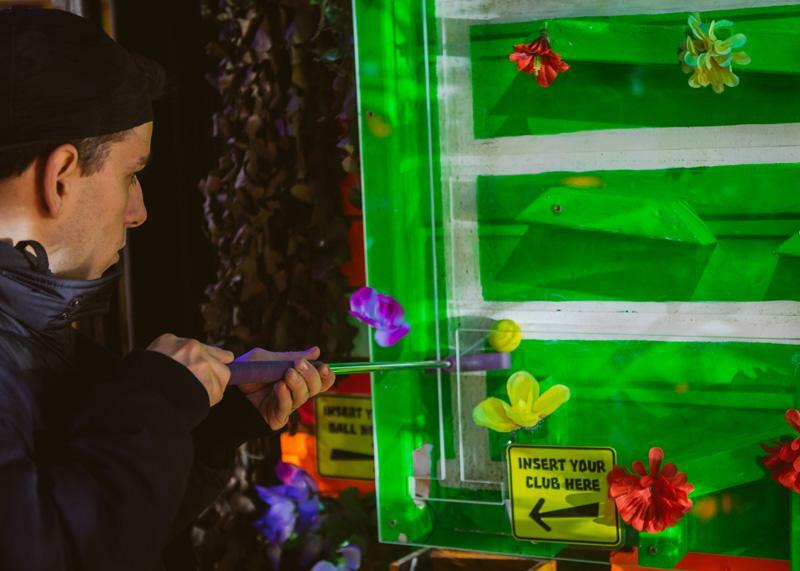 What better place than Camden Market, with it's wealth of street food from around the globe, it's uncountable bars and unusual restaurants - don't forget that killer vibe! 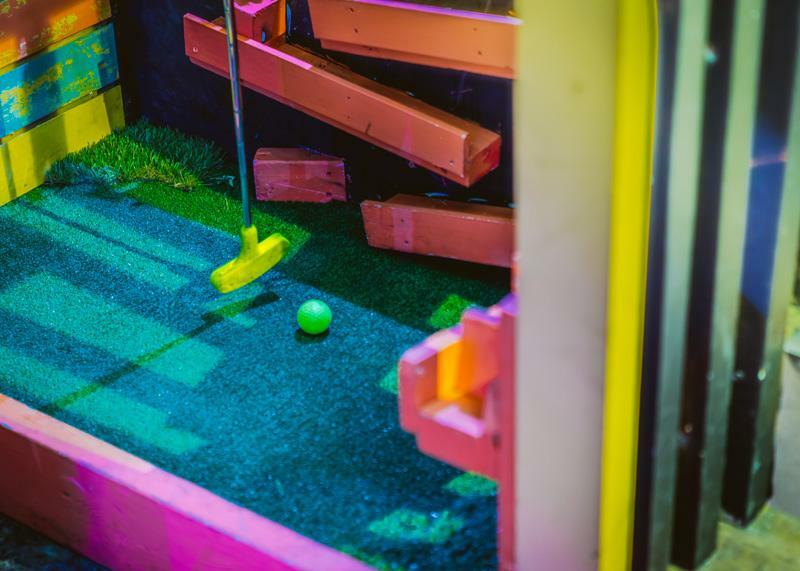 You can also bring your own drinks as part of our friendly BYOB policy. 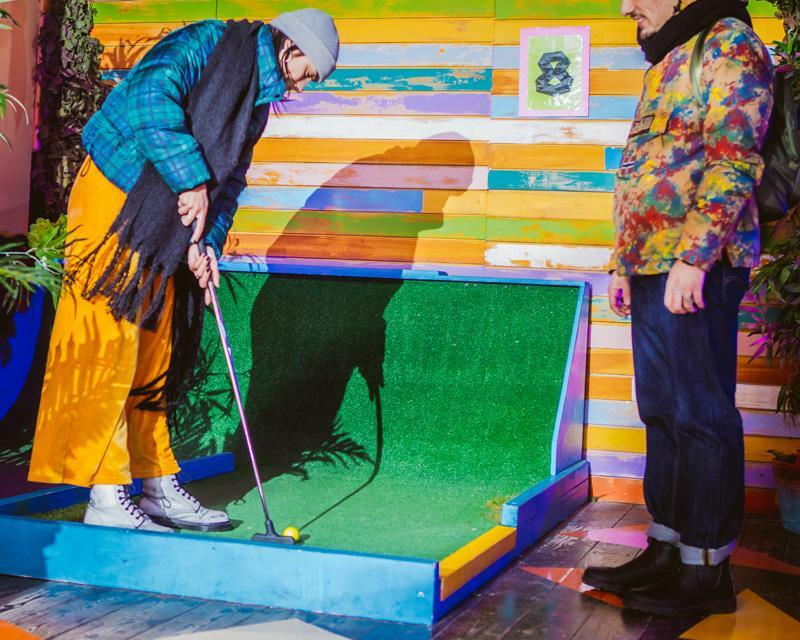 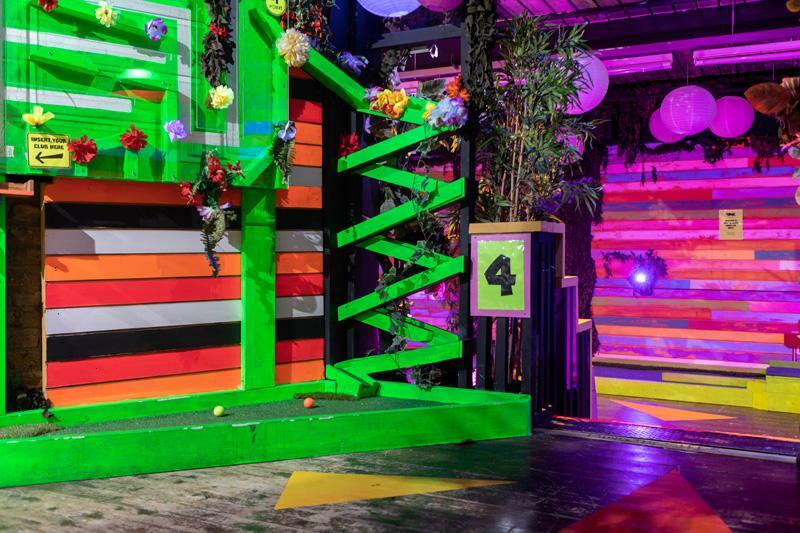 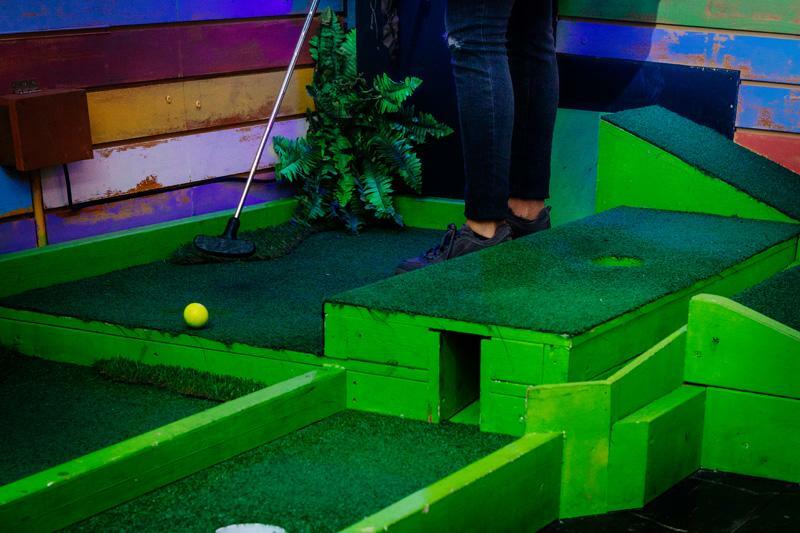 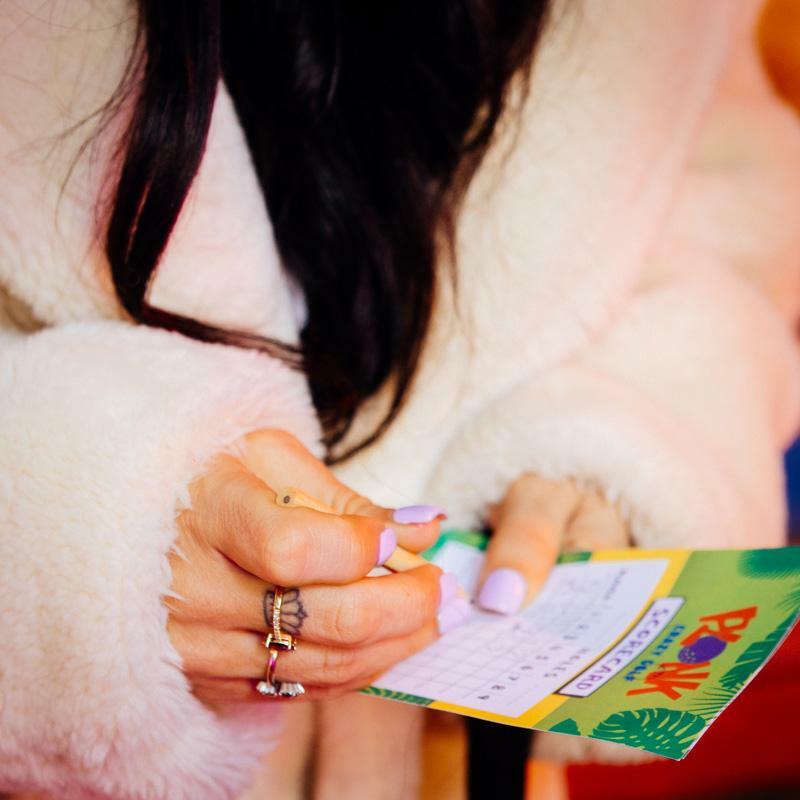 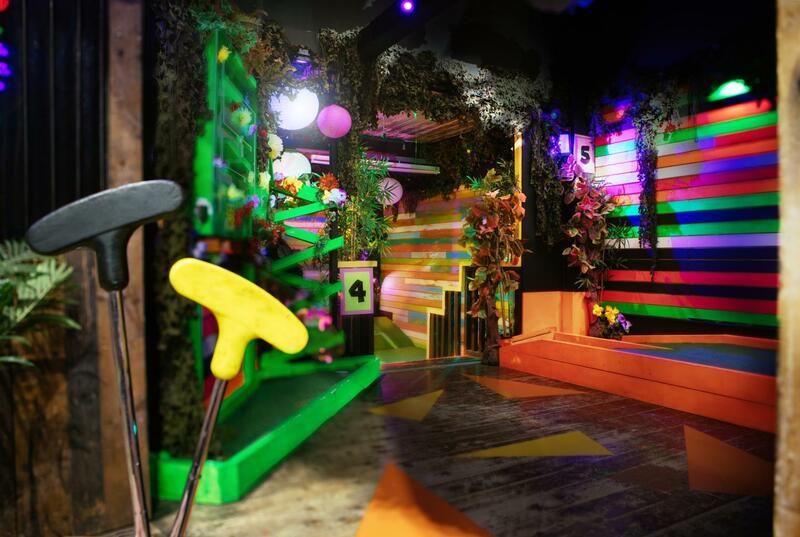 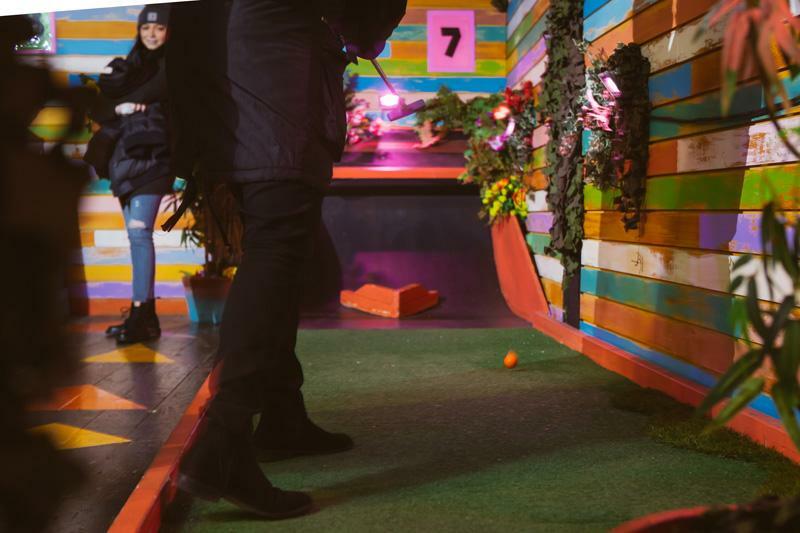 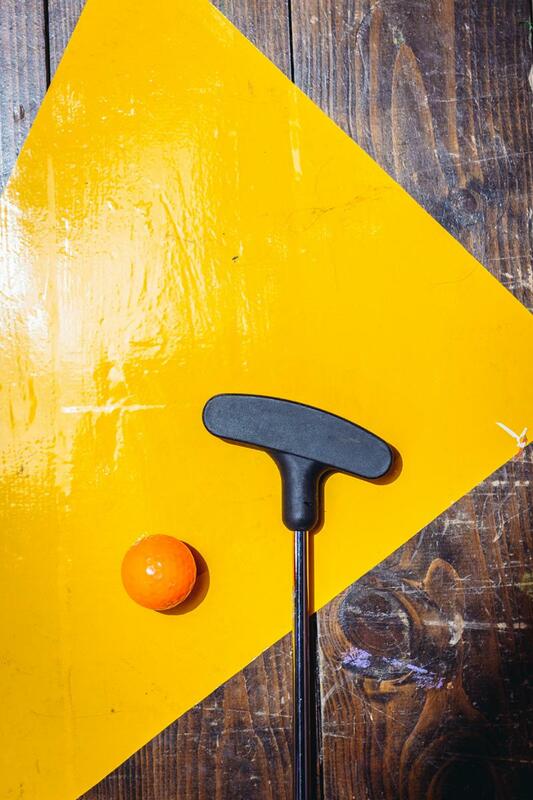 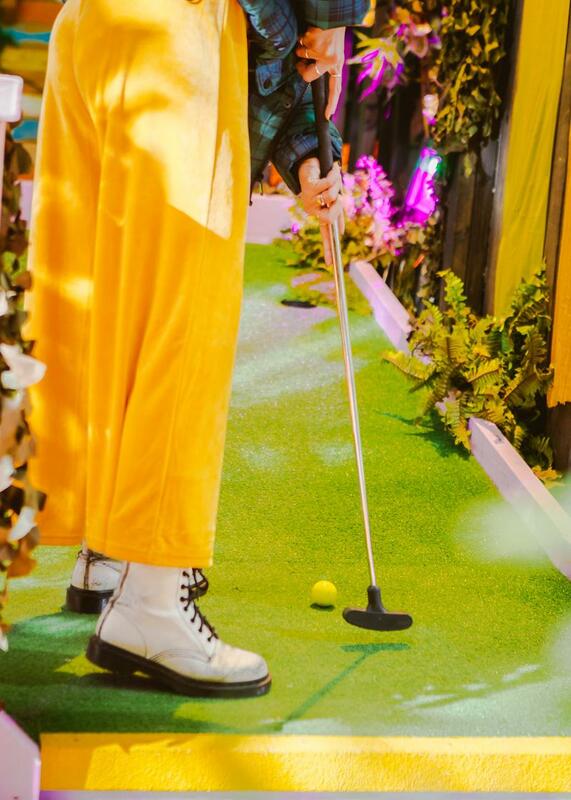 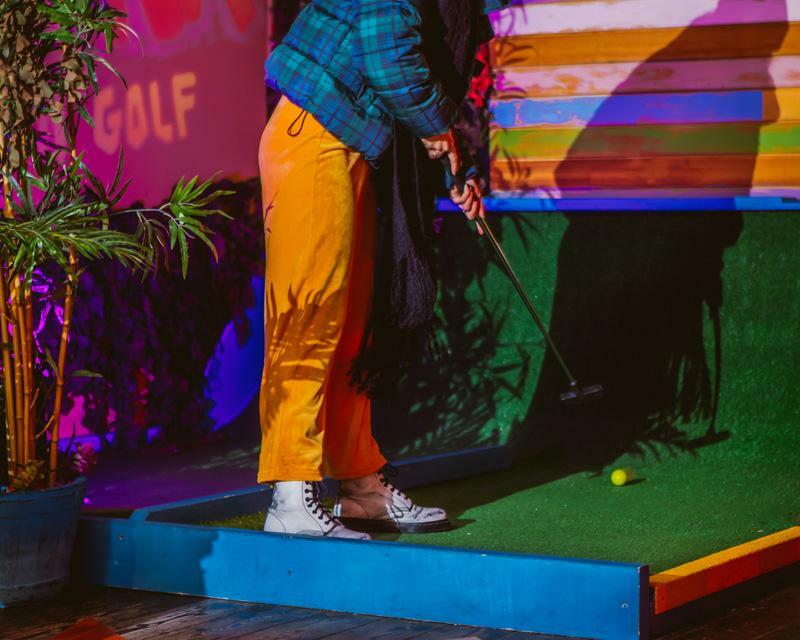 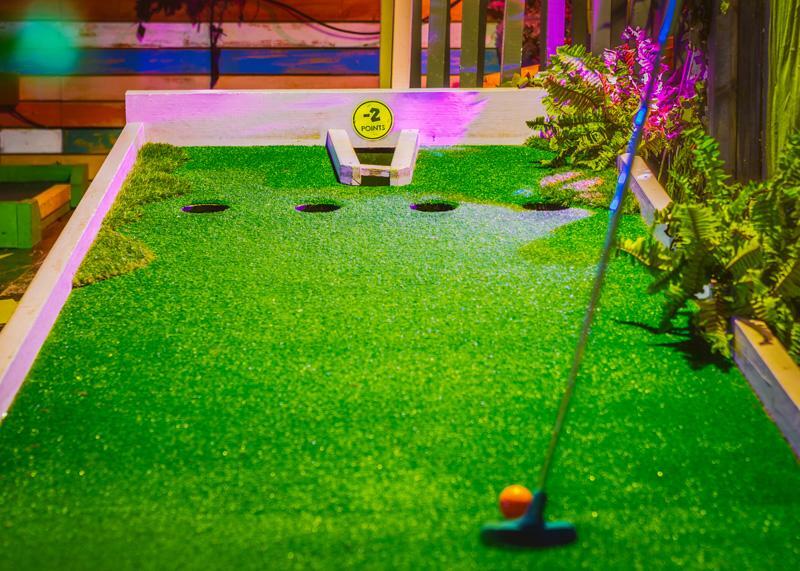 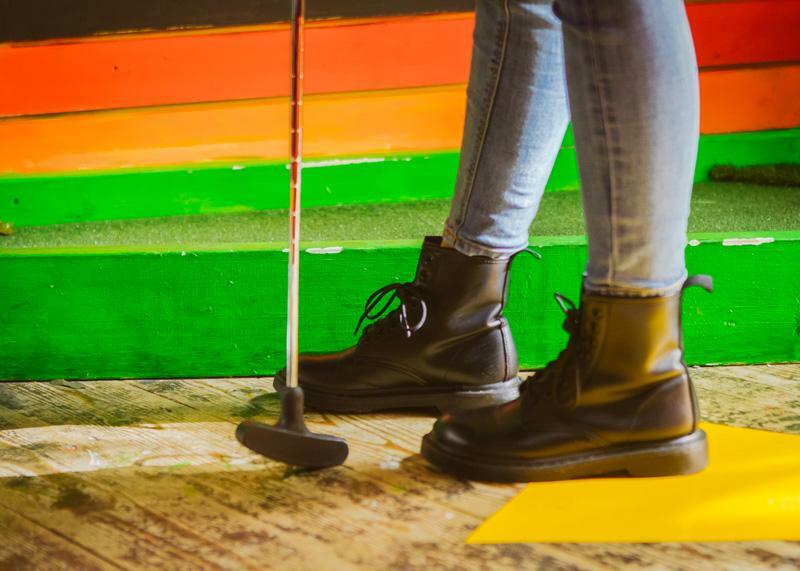 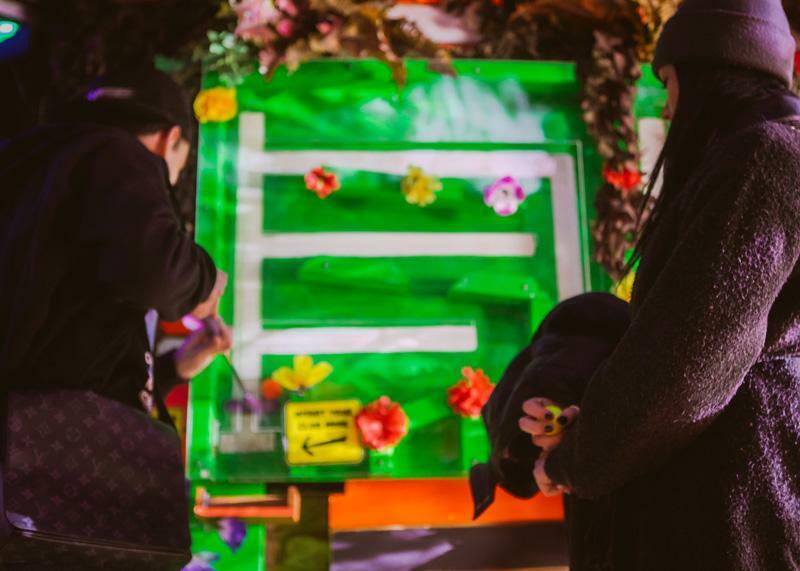 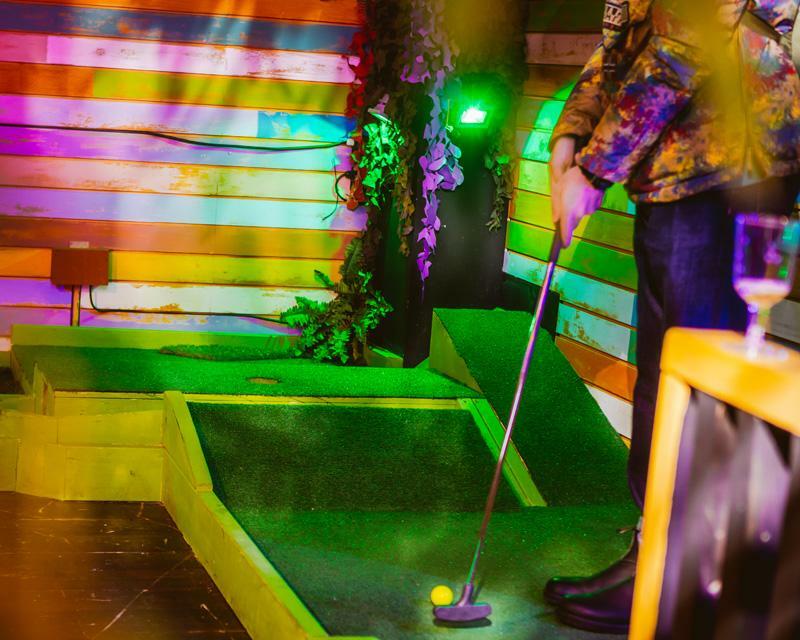 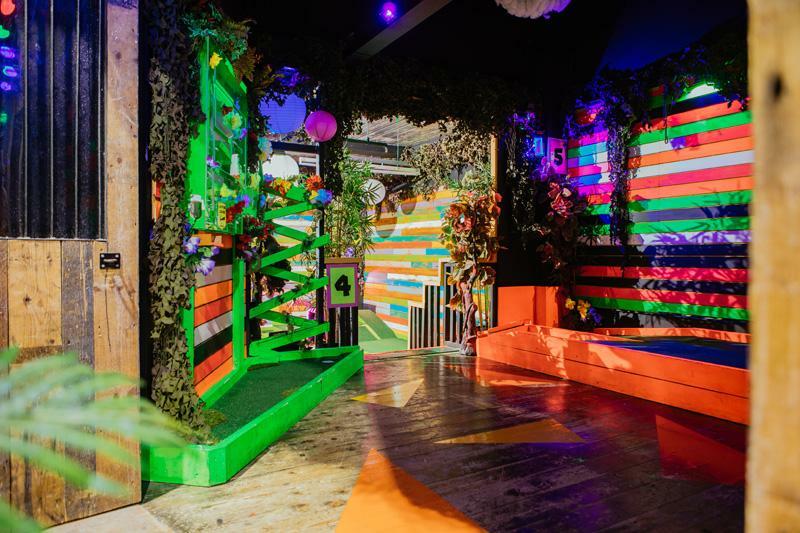 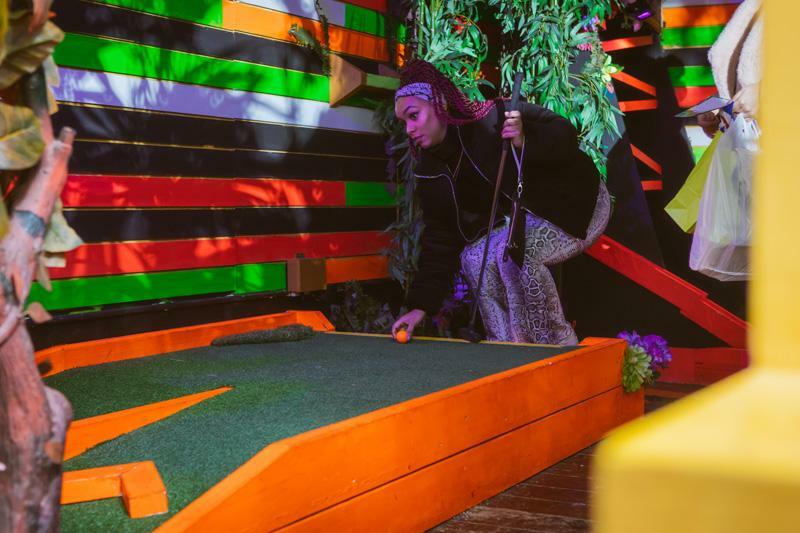 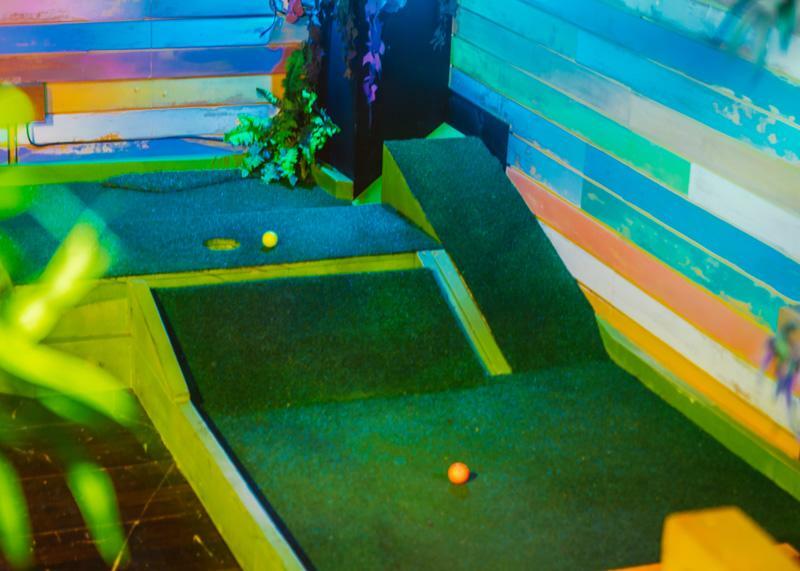 In our very own private venue we've decked the halls with bows of camouflage, mini golf madness, UV lights, smoke machines and a giant volcano for this 9 hole indoor course right at the heart of world-renowned Camden Stables market!